This post contains affiliate links. To learn more, visit our Disclosure page. In 2015, I reached an epiphany. Eyebrows matter. I was probably one of the very last women in the world to come to this realization. To be fair, I’ve been self conscious about my eyebrows since I discovered the mirror. Over the course of the years, I’ve randomly tweezed, occasionally waxed, and all too often applied hair gel to my misbehaved eyebrows in a fruitless attempt to make them presentable. This went on for years. By the time I reached college, I’d had enough. All grooming, including a simple comb through with a spoolie, flew out the window. That was in 2009. It wasn’t until I began working in what we’ll call the land of the perfect brows that I really got that kick in the pants I needed to reinvigorate my brow game. I wanted beautiful brows, but I didn’t want to have to wake up before dawn every morning to perfect them. Naturally, many of you can relate. This is the ultimate eyebrow tutorial that I came up with. I never realized how true this is until I began working at the land of the perfect brows. All of my coworkers had clean, sculpted eyebrows that looked like they hopped straight off of Instagram and onto their faces. They all looked so fresh, chic, and put together. But here’s the interesting part- most of them wore not a stitch of other makeup. No mascara, no concealer, no blush, and no lip colors. With all the naked faces walking around, you would they looked like a haggard looking bunch, but they definitely didn’t. The magic lies in the brows. Here’s the thing- everybody’s eyebrows are different. There is no one-size-fits-all eyebrow tutorial that works perfectly for everyone. 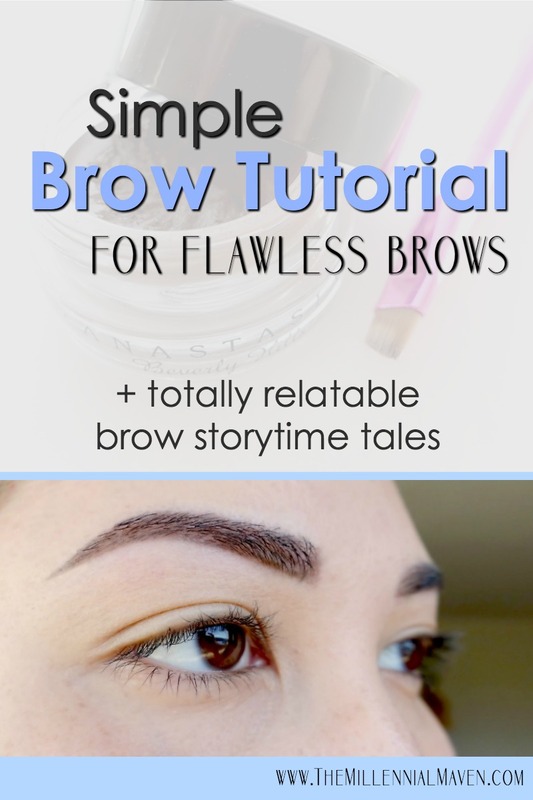 Which is why I’m including every eyebrow-taming option I can think of in this tutorial. Mix and match and play until you find the steps and products that work best for you. It’s all about experimentation, folks! The way I see it, there are three product categories to contend with in any eyebrow tutorial. These are grooming products, defining products, and sculpting products. Grooming products come first, and then defining products, with sculpting products bring up the rear. Each one of these builds on the last, so you can stop at any point. No obligation to complete every last step if you don’t have time! This is the part that majorly stumped me in the past. Each of my eyebrows are quite different shapes, and the hairs grow in awkward (read: different) directions, so even when I attempted shaping, they still looked less like sisters and more like third cousins twice removed. Do this: Work on grooming and shaping your favorite brow exactly the way you like it. Then, groom the other side to match. 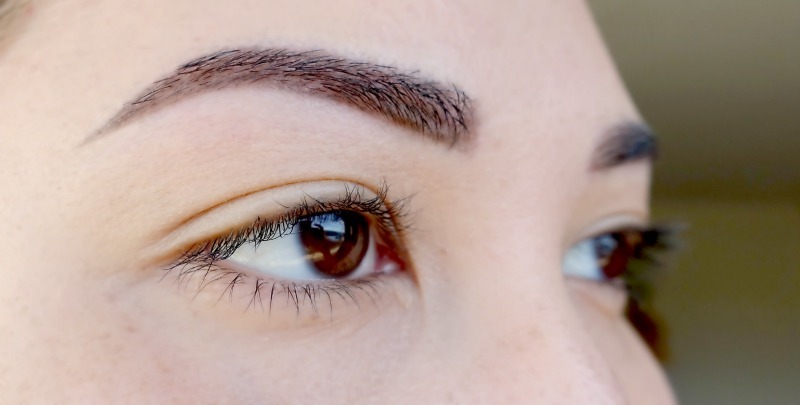 Doing the exact same steps on each brow breeds mismatched results, because unless you’re one of the genetically gifted ones, your brows are likely two completely different personalities. Out of the three grooming methods I use, tweezing is the most drastic. Like, the hair is completely gone, and sometimes they decide to not grow back just to spite us. For this reason, use tweezing to create a rough shape. Get rid of all the outliers, but avoid trying to create the absolutely perfect silhouette seen in your mind. Trust me, over-plucking becomes a serious problem really quickly. Brush your hairs in the direction where they naturally fall. The hairs at the top of my arch tend to grow straight down rather than outward. I take advantage of this by trimming those hairs at the bottom to create a clean bottom edge. 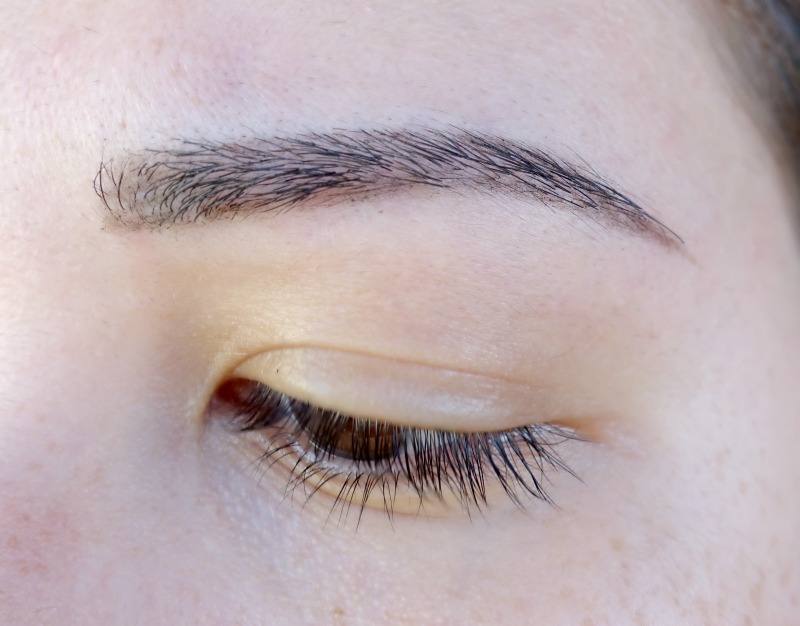 Do this: Visualize how you want your eyebrow to look, and trim your hairs into that shape as much as possible. You can always tweeze more later if the result isn’t perfect. I’ve got plenty of teeny hairs around my brow area that drive me nuts. They’re dark enough to be visible, yet small enough that they’re difficult to grab with the tweezer. It would take me all day to sit there and tweeze each one, and we all know I’m not about that life. I purchase these basic eyebrow razors from whatever drugstore I happen to be at (I’m not picky,) and I basically just go to town all around my brows. Unlike tweezing, there is no risk of creating permanent bald patches with a razor. Even if you make a mistake, the hairs grow back in 2-3 days anyway. And no, they don’t grow back thicker. I have a love-hate relationship with waxing. On the plus side, my brows always look super fly after a waxing, but that’s because I had it done by a professional who knows what she’s doing. Which means I paid around $25 for something that doesn’t last that long. I have tried waxing myself. At best, my brows end up looking decently okay, maybe slightly wonky. At worst, they look like they’ve taken a trip though a paper shredder. Not to mention, has anybody else noticed that it always hurts more when you do it yourself? When I’m in the mood to pamper myself, I’ll head to a salon. If not, I avoid wax at all costs. Now let’s get to the fun stuff- coloring! Do this: Start at the inner part of your brow, and sketch your arch into your desired shape along the bottom edge of your brow. Whether you want a high arch, low arch, or somewhere in between, this is the time to create it. Now that you have the shape mapped out, drawing in the top border to match should be a breeze. Do this: Lightly trace the top edge of your brow with pencil, starting the line about 1/4 to 1/2 of an inch outward from the beginning of your brow. Connect the top and bottom lines with a sharp point at the end. Starting the top line slightly back will help give the beginning of you brows that nice faded look without too much of a struggle. This part is pretty self explanatory. Do try to stay inside the lines, but if you make a mistake, see below for multiple ways to fix it. Which pencil works best for this eyebrow tutorial? On another note, the pencil you choose can mean the difference between a good brow day and a bad brow day. Here are my tips. If you are a fan of drier pencils that offer plenty of control, the Anastasia Brow Wiz is perfect for you. On the downside, it is ridiculously expensive for what you get. Consider the NYX Micro Brow Pencil, which is almost exactly the same thing for less than half the price. My absolute favorite brow pencil (and the one I’m using in this demo,) is the Ulta Ultra Slim Brow Pencil in Dark Brown. The texture is similar to the L’Oréal, it’s just that Dark Brown is the perfect color for me. On a normal day, I stop after filling in my brows lightly with a brow pencil. But on some days, I want something a bit extra. To make the edges look more defined, plus give my brows an overall deeper look, I use Anastasia DipBrow Pomade in Dark Brown on a small angled brush to go over the pencil. Simply take a little at a time on your brush and start building up the color. The color should be deepest on the outer half of your brow. Place your brush down first at the top of your arch, then drag the color downward. Distribute the product throughout your brow until most of the product is off your brush. With what little product is left over, flick out the tail to a sharp, faded point. Believe me, I was born with the wildest eyebrows imaginable. My hairs grow in all different directions, they stand straight up, they blow in the breeze, you name it. But thanks to my grooming routine, I no longer have issues with unruly eyebrow hairs. Keeping them short really helps. Although, I am aware that trimming my hairs short is an option for me because my brows are thick to begin with. I don’t need them long in order to cover space and make them look full. For those of you who prefer to keep your hairs longer, these are the two best clear brow gels I’ve used. The Anastasia Clear Brow Gel is like a straightjacket for those little suckers. And the NYX Control Freak Brow Gel is almost the same thing, but is much less expensive. Adding concealer is a great trick for those occasions when you want to look super polished and flawless, but it’s definitely not the look I go for every day. Using a slightly thinner concealer works just as well at defining the edges of your brows, but won’t end up looking as harsh as it would if you had used a more full-coverage concealer. I think it looks nicer this way. The color Sand matches my skin tone, giving me a more blended look. If I do want a more highlighted look, I’ll use the shade Light for a slight brightening effect, without the cakiness. Personally, I avoid the whole concealer strategy unless I absolutely need to. And even that isn’t true, because there is never an instances where I absolutely need to clean up using concealer. So unless I’m specifically going for a super done-up, “Instagram brows” effect, I use the E.l.f. Makeup Remover Pen to sharpen my lines and clean up any mistakes. I like it because it makes the edges of my brows look tidy, without making them look painted on. It’s just a more natural look overall since you don’t have that extra layer of product. For everyday wear, I definitely recommend going this route. I have a full review on this product if you don’t know what it is. It’s seriously one of the best things ever! Read all about it >> here <<. Voila! Perfect brows every time. This may seem like a lot of steps, but the entire routine only takes my about five minutes every day. Not bad for such a comprehensive eyebrow tutorial. When you keep on top of your grooming, not to mention practice drawing the perfect arch under any circumstances, creating perfect brows will come as naturally as tossing your hair in a bun. Don’t be like me, walking around until the age of 23 with naked eyebrows. You’re better than that. Goalsssss! So beautiful and natural looking! Cool post! I love that the final product looks tidy and defined but doesn’t look like the Instagram eyebrow trend. I’d look ridiculous sporting those to work during the day HAHA.